Grind well all the ingredients except ice cubes. Add ice cubes and grind well. Grind watermelon pieces and honey well. 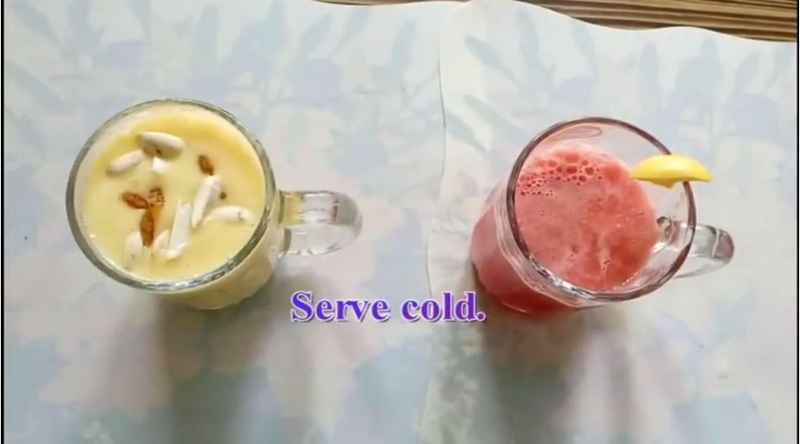 Watch the full recipe preparation for Summer Coolers here. Previous How To Bake Vanilla Sponge Cake At Home Without Oven!